What are the benefits of having the best carpet protector? If you’ve just had your carpets cleaned, you may be interested in carpet protectant! Protectant is something to consider if you’d like your carpets and upholstery to look clean longer, making it possible to clean less frequently. Protectant creates an invisible shield around the fibers, making them repellent to soil and stains. Your carpet will look fresh and beautiful for longer periods of time, and be protected from every day wear. Carpet protectant uses the same technology as non-stick pots and pans and can be used on carpets as well as fabric and leather upholstered furniture. Some carpet manufactures stipulate that a carpet protectant be used every so often, in order to preserve the warranty. 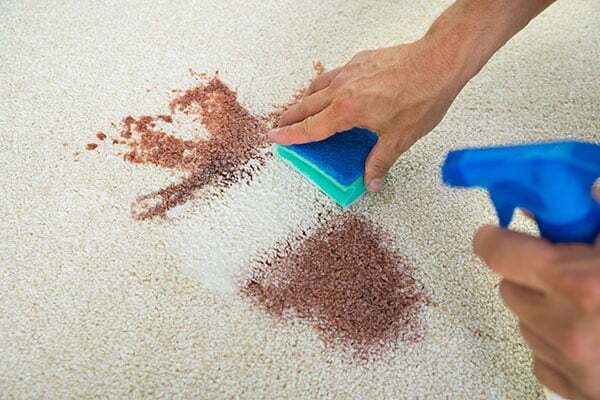 Most carpet protectants are odorless and a TruRinse Carpet Cleaning professional will ensure that the protectant being used is appropriate for your carpet prior to the application process. After a good clean from TruRinse let’s keep it clean by using the best carpet protector.